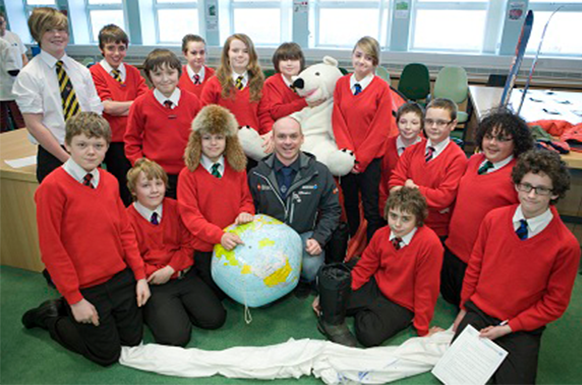 Through ETE’s Polar Fun Days schools are able to invite a Polar ambassador into the classroom to tell stories of their expeditions and the environments they have travelled through. With options ranging from assemblies to full activity days, Polar Fun Days teach children about the environment, animals and people of the Polar Regions, the causes and impacts of climate change, and inspire young people to follow their own dreams in life. We have worked with over 875 schools now and present to an audience from never having learnt about the topic to basic knowledge and introducing the subject to them to increase their understanding from first hand experiences and a mixture of scientific and artistic activities. We also cater for higher academia in secondary schools working with the students with more in depth scientific facts and knowledge about the Polar regions and how Climate changes is affecting them. 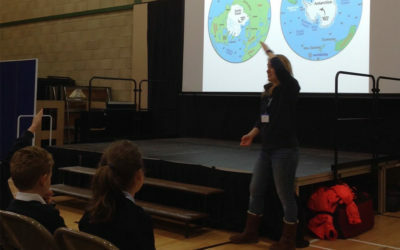 These days consist of one of the ETE team heading to schools all over the country and leading a day packed with workshops and activities all about the Polar Regions. What is particularly unique about these days is that each one is run and led by one of the ETE team who have completed an expedition in the Polar Regions and they can pass on their first-hand knowledge and inspire the pupils about their personal chilling experiences. The day is packed with workshops that range from building a glacier through to planning your own expedition, to looking at the evolution of animals and how animals adapted to survive the cold environment. Enter your email below to subscribe to our mailings and we will send you our up-to-date price list. Email us now to book and to secure a visit to your school from our polar ambassadors for this academic year! ETE’s Polar Fun Days include options ranging from assemblies to full activity days. 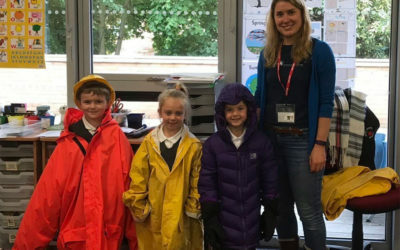 Polar Fun Days teach children about the environment, animals and people of the Polar Regions, the causes and impacts of climate change, and inspire young people to follow their own dreams in life.